When all else fails and you can't agree about how your children will spend time with both of you, it is possible to ask the family courts to make a ruling. However, you should consider taking this step very carefully as many parents have a negative experience of the court process. Parents who use the courts are often looking for a judge to support their own particular view about what should happen with the children. They are often feeling hurt or angry and are convinced that the court will uphold their view. However, the courts are usually reluctant to tell parents what to do and, when they do so, will consider only what is in the best interests of the child. The outcome may be different to what you think it should be. Parents who use the family courts to resolve issues around parenting time will often describe it as being intrusive and talk about feeling that their lives 'have been made public'. This is because of the involvement of solicitors and court officials, such as Children and Family Reporters. The process can often feel as though it is outside of your control. Parents also find it more difficult to work together after going through the courts. This is because they often find themselves in adversarial positions that lead to conflict. The legal process also uses rather unpleasant language such as 'care and contact' (which has replaced 'custody and access'). This often makes it more difficult for parents to work together for the best interests of their children. 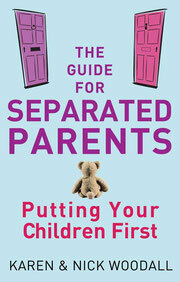 Nevertheless, if parents or carers separate or divorce, and are unable to agree about arrangements for their children, they may refer their dispute to a family court. Sometimes, this is the only option, especially where one parent is preventing the children from seeing their other parent. On 1 April 2013, the Legal Aid, Sentencing and Punishment of Offenders Act (LASPO) came into force. It means that fewer people now have access to free legal representation. This means that if you have a legal problem there is now more chance that you will have to represent yourself. The Bar Council, that represents all barristers in England and Wales, has produced a Guide to help you. It has been written by barristers, who have lots of experience in all kinds of different courts and understand how the system works. If you choose to represent yourself in court, you are generally permitted to be accompanied by someone to assist and support you. This person is referred to as a McKenzie Friend. A McKenzie Friend may provide moral support, take notes, help with case papers and quietly give advice on things such as points of law or procedure, issues that you may wish to raise in court and questions you may wish to ask witnesses. However, a McKenzie Friend has no right to act on your behalf or act as your agent in relation to the proceedings nor manage the case outside court, for example, by signing court documents. A McKenzie Friend is not entitled to address the court, nor examine any witnesses. Please download the PDF document for more information. Information about the law and the court process. Children and Family Court Advisory and Support Service.